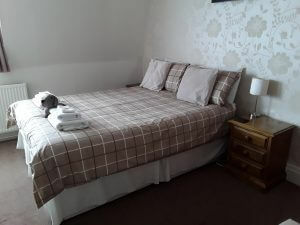 Here at the Almar we have 5 luxuriously appointed double rooms with plenty of space to make you feel comfortable. All of our rooms have tea and coffee making facilities and come with a well appointed tea tray to get you that early morning cup of tea just as you need. If there is anything that we can do during your stay to make it more comfortable then pleas let us know and we will try and accommodate all your requests. 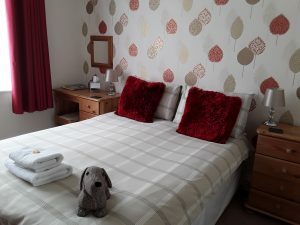 Our spacious standard double rooms are tastefully decorated in neutral colours with pops of brightness in the soft furnishings to give each room its own character. 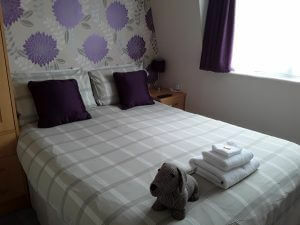 All our double rooms and our twin room can be booked for single occupancy at a reduced rate. 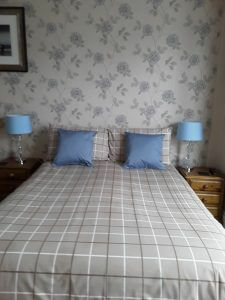 We also have the capacity to turn our double rooms into family rooms catering for two adults plus one or two children – please contact us directly for details. Generous hospitality trays which are replenished daily with hot chocolate, bottled water and chocolate biscuits in addition to tea and coffee. Complementary towels and toiletries plus shower caps and vanity kits. 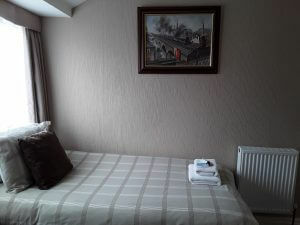 Ironing facilities and a trouser press are available to all guests. We have 3 single rooms. For the best rates and Deals book directly with us through the button below.